Explore this wireframe wonderland like a champ with our tips and tricks. 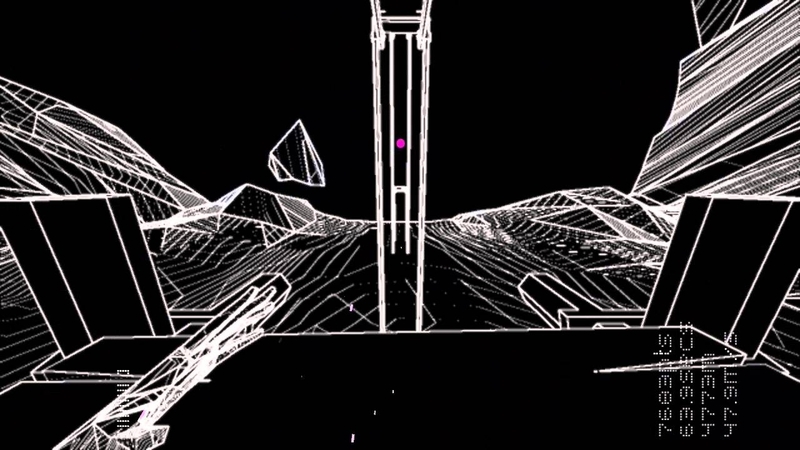 While it isn't difficult to pick up and play Fotonica, it can be tough to master it. That's why we've compiled these tips and tricks to help you on your way. Whether you're just starting or you've been playing for quite some time, there should be something here to help you come full circle and get started down the road to being the best you can be. In Arcade mode, sometimes finding the correct way to go can be frustrating. There's an easy way to get around this, however, by seeking out alternate pathways on your way. Search for different branching areas when running through specific areas at different heights. Simply keeping an eye out for possible new paths could open the doors to several other options in future runthroughs. Fotonica is a game that relies more on dreamlike physics and slower-paced obstacles than twitch-based gameplay, so make sure you're taking those ideas into account when you play. When you leap, you'll fall slowly. Time seems to move much less quickly in Fotonica, so make sure you realize this before jumping headfirst into an area you haven't tackled before. Because Fotonica is viewed from a 3D standpoint, it can be difficult sometimes to gauge the distance between two fixed points. Some items may appear closer than others because of this, making your jumps completely miss the mark and landing you at the starting line once again. Once you figure out how far in advance you'll need to make a leap, you'll be clearing platforms like a champ in no time. Fotonica does its best to ensure you get right back on the horse once you fail and attempts to minimize that feeling of failure that erupts when you don't quite make the grade, but it can still be frustrating nevertheless when you fail out of a level. Don't let it get you down, and instead keep trying. There's always an alternate pathway, and it may well be the one you need for victory!